This exhibition from Combat Stress features artwork created by veterans as part of their recovery from trauma. This exhibition represents the psychological impact of war, but also demonstrates that art-making can offer relief and new growth after trauma. For some veterans, art-making can provide much-needed relief from intrusive trauma memories by channelling thoughts towards peaceful subject matter. Others might use the creative process to try to make sense of their experiences by releasing feelings through art. 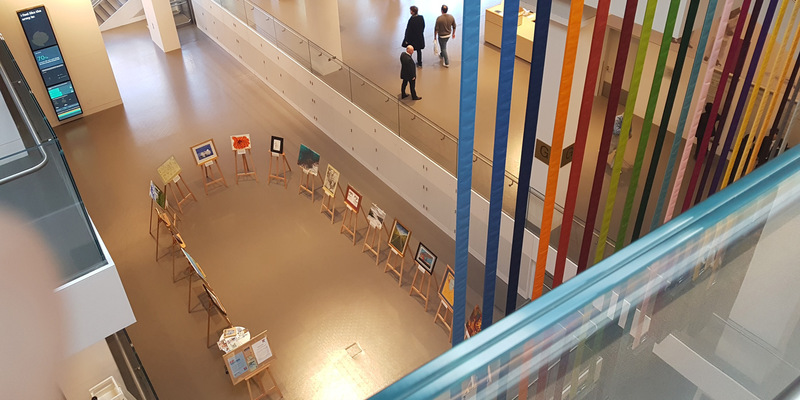 In support of the veterans’ achievements, the National Army Museum Development Trust, in association with the National Army Museum, will present the Templer Art Awards from 2pm on Saturday 29 June 2019. The exhibition and awards are a partnership between Combat Stress and the National Army Museum, aiming to provide an insight into the individual stories of people who have served their country. Combat Stress is the UK’s leading charity for veterans’ mental health. For almost a century they’ve helped former servicemen and women deal with trauma-related mental health problems such as anxiety, depression and post-traumatic stress disorder. Each year they receive more than 2,000 referrals from veterans. Britain's latest war in Afghanistan began in the wake of the '9/11' terrorist attacks on the United States. It continued for 13 years with the last combat troops leaving the country on 26 October 2014.